National Geographic Society’s Big Cats Initiative supports scientists and conservationists working to save these magnificent felines. With your help, we’ve supported more than 120 innovative projects to protect big cat species in 28 countries. Click below to find out more about the Big Cats Initiative and how to make a donation. Meet Dr. Amy Dickman, one of our National Geographic Explorers who has dedicated her life to saving big cats in the wild. Dr. Amy Dickman is the Kaplan Senior Research Fellow in Field Conservation at University of Oxford. 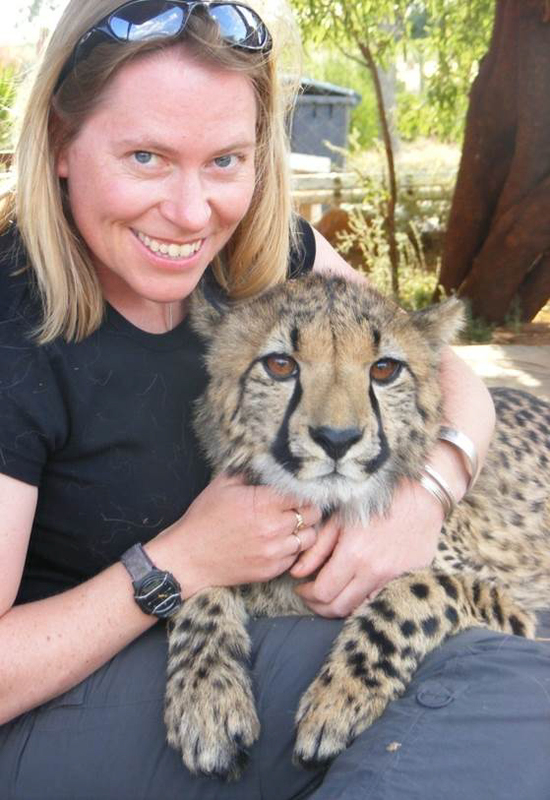 She has worked in Africa for over 20 years, specialising in human-carnivore conflict and has published over 70 papers and book chapters on large carnivore ecology and conservation. Her innovative work with local populations to protect the lions and other carnivores of East Africa has won international recognition. Click below to hear more about Amy’s work. Females don't like blondes Only male lions boast the amazing halo of long hair that encircles their heads, with the exception of the lions of Tsavo (Kenya) that are maneless. A lion's mane serves to intimidate other males and attract females. Lionesses tend to prefer full dark manes as they signal reproductive fitness and the ability to fight. It's easier to find them on catwalks than outdoors Most leopards are tan or orange with distinctive black spots, dubbed “rosettes” because they are shaped like roses. These marks work as the perfect camouflage. A leopard’s rosettes are quite similar to a jaguar’s, but they are not the same. Leopard spots have no little dots inside, which is typical in a jaguar’s coat. Find 100 differences Just as a snowflake or a fingerprint, the beautiful design of a tiger's striped coat is totally unique. Another surprising fact is that this majestic pattern is not only printed on their coat, but also on their skin. These patterns can be used to identify every single tiger on earth. One Big Cat, different sizes Other than humans, pumas have the widest geographic range of any land mammal in the western hemisphere. They can be found throughout much of South and North America. The closer these mammals are to the poles, the greater their weight, reaching up to 264 pounds. In contrast, their weight goes down to as little as 114 pounds in equatorial areas. Four inches of killer power Lions have a terrifying smile. When we think of lions, the first thing that comes to mind are their large canines. These teeth can reach an impressive length of 4 inches, enabling lions to break all kinds of bones and tear the meat off their prey, something really useful when you devour a whopping 20 to 100 pounds of meat a day! LOOK UP! 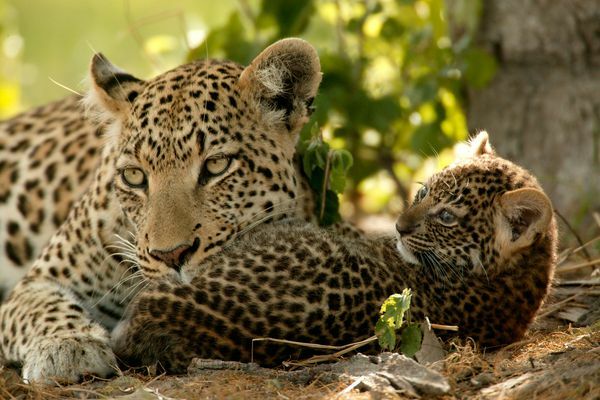 Even though leopards are not the fastest of the big cats, they are still extremely quick. In very short distances, they can reach up to 37 miles per hour, but perhaps their most surprising skill is their jumping power; more than 6 metres horizontally and 3 vertically. They also climb trees to store their prey and prevent robberies. Heavy carcass? No problem, leopards can carry up to three times their weight! It’s an epic tiger meal. Tigers can eat up to 60 pounds of prey a night. With good reason, these carnivores are the biggest in the big cat family; weighing up to 720 pounds. They will travel many miles to find their favourite snacks: deer, water buffalo, wild pig and antelope. Fortunately for us, we are not one of them — tigers avoid humans. and hunter Their powerful hind legs enable them to jump as far as 12 to 13 metres. Pumas have a poor sense of smell, but their excellent vision and hearing helps them to hunt in the early morning and evening hours. The long lion's nap As you probably know, lions are powerful predators, but there is one activity they master above all others: sleeping. Lions spend most of their time hunting and sleeping, but they dedicate the majority of the day to snoozing. Up to 20 hours in fact. It takes time to digest a whole buffalo! How big is your fridge? The piece of land leopards call home can be quite large. Their territories can vary from 4 km2 to 100 km2. The main factors that determine the size of their territories are related to environment and prey density variables. A female's space is usually significantly smaller than a male's, up to one-third of the size. Are you sure cats don't like water? Most people tend to think that all felines hate water. Actually, this is not true. Tigers feel comfortable splashing in the water, which is really bad news for animals like water buffalo. Water doesn't create an obstacle to successful hunting. In fact, water is one of their preferred hunting grounds. different habitats The puma is known for easily adapting to any type of environment: it can live in forests, deserts, mountains and grasslands. We are doing our best EVERYWHERE Our activity through The Big Cats Initiative is travelling around the whole world. To this day, projects and specialists are working in many countries. All knowledge and abilities from people committed to big cats are giving new chances to this awesome species to move further on. Discover where we are working now. For every National Geographic magazine subscription purchased during Big Cat Month a donation of £3 will be made to the National Geographic Society’s Big Cats Initiative. Each magazine subscription purchase will support the long-term commitment by the National Geographic Society to stop poaching, save habitat and sound the call that big steps are needed to save big cats around the world. As a subscriber every month you’ll get expertly written articles and features on wildlife, geography, popular science, history, culture, the environment and current events. National Geographic covers every corner of the globe, explores the farthest reaches of the universe and probes the unexplored depths of the ocean bringing a truly insightful and thought-provoking look at the world around us.